Husband of Viola Pearl Bowen. 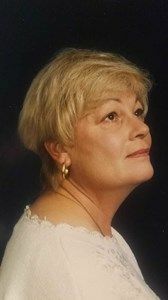 Betty Louise Padgett, 78, of Casper, passed away Thursday, April 4, 2019. Betty later moved to Dodge City, Ks. where she met and married Lyman “Dude” Padgett. She helped Dude with all aspects of their farming operation and it was there that she developed her gift for gardening. After Dude’s passing Betty lived a short time in Powder River, Wy and later relocated to Hyannis, Ne. to live near her daughter and son-in-law, John and Angela Young. Due to poor health, Betty relocated to Casper in 2017 where she lived at Garden Square Assisted Living. Services will be held at Newcomer Funeral Home Monday, April 8th at 10:00 am followed by burial at Highland Cemetery.